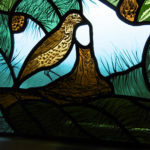 Debbie is a traditional stained glass artist who uses the skills and tools at her disposal to produce original and contemporary work. 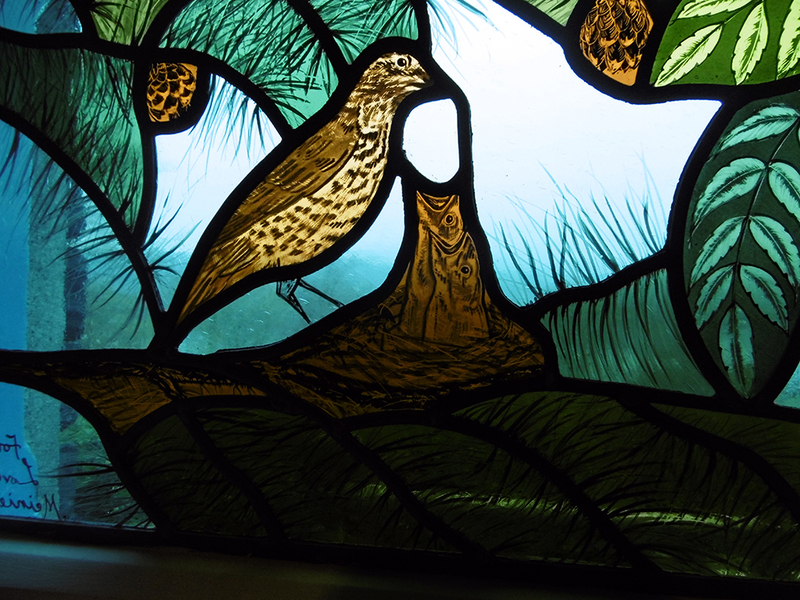 Becoming increasingly attracted to the design and challenges presented by traditional stained glass panels and windows, commissions are always welcome. These constantly inspire Debbie. Pushing her to explore new landscapes, new subjects, new forms and new techniques. 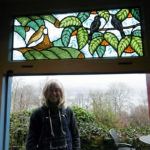 Recent commissions include a John Ruskin inspired panel for above the entrance doorway at The Terrace Café at Brantwood. 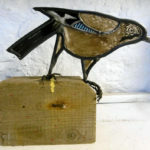 The panel included chattering blackbirds and a hungry family of thrush in a delightful domestic scene with the birds reflecting the busy activities within the café. Brantwood was the home of art patron, critic and philanthropist John Ruskin and it is now open to the public. It is located adjacent Coniston Water in the Lake District. 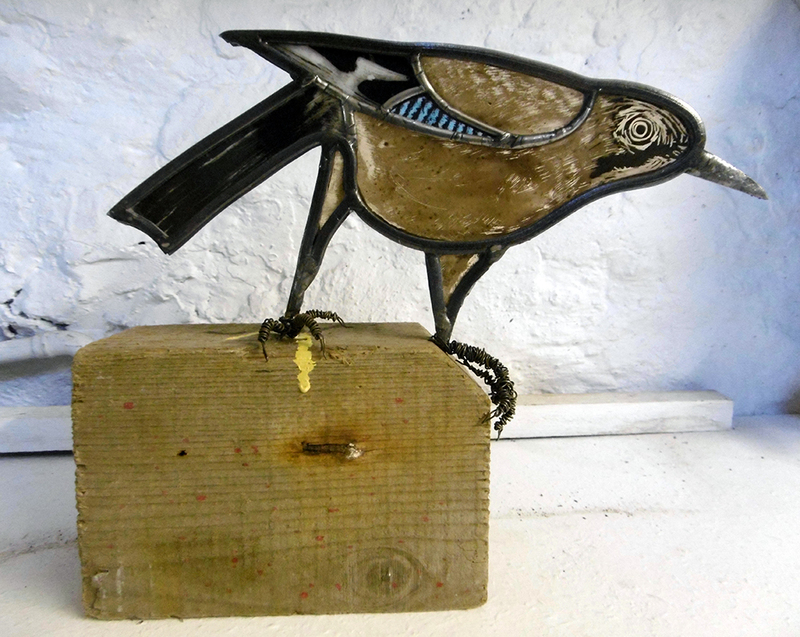 In February of 2018 Debbie made a huge personal leap and relocated her studio to Kendal. Having traded as ‘Debbie’s Shed’ in Silverdale for the past 10 years she now goes under the title ‘D.C. 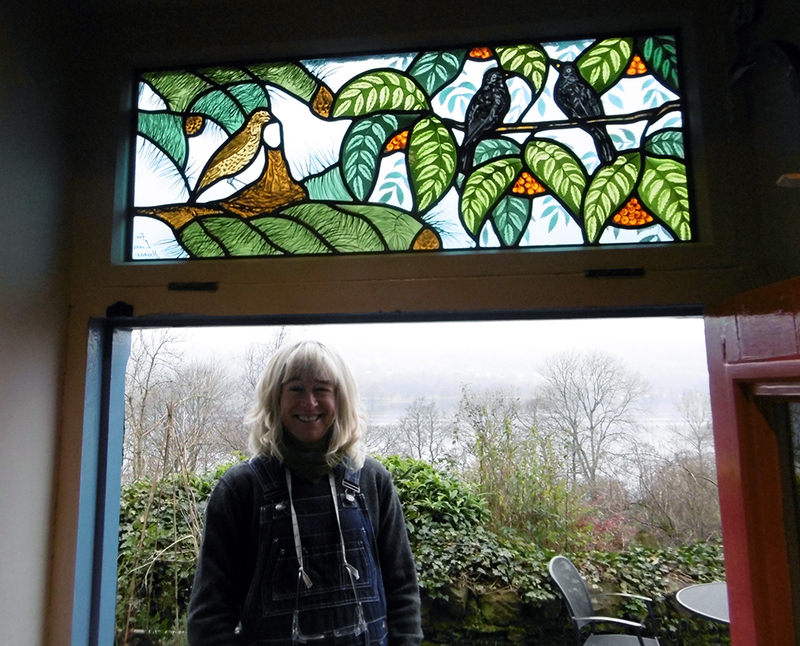 Stained Glass ’ and can be found at her studio at 11 Allhallows Lane in Kendal. 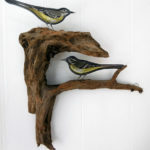 Birds remain her signature subject matter and she achieves an ever-increasing flock of sculptures within her portfolio. 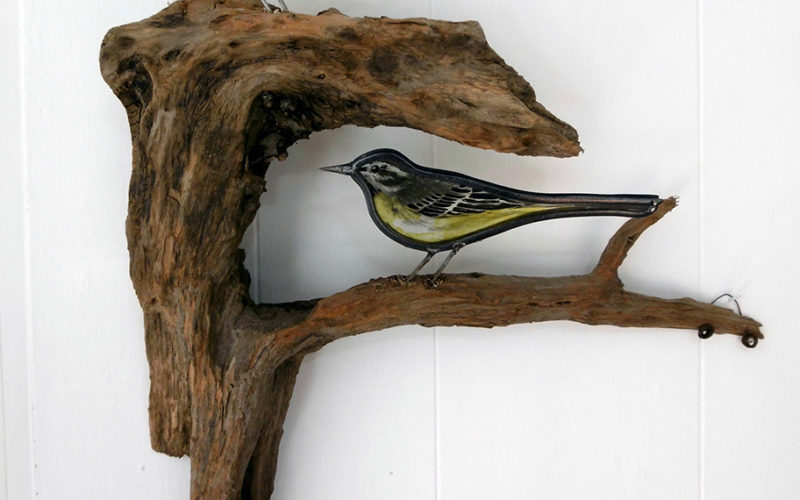 Using glass, paint, wire and wood Debbie carefully captures the bird’s characters and forms. 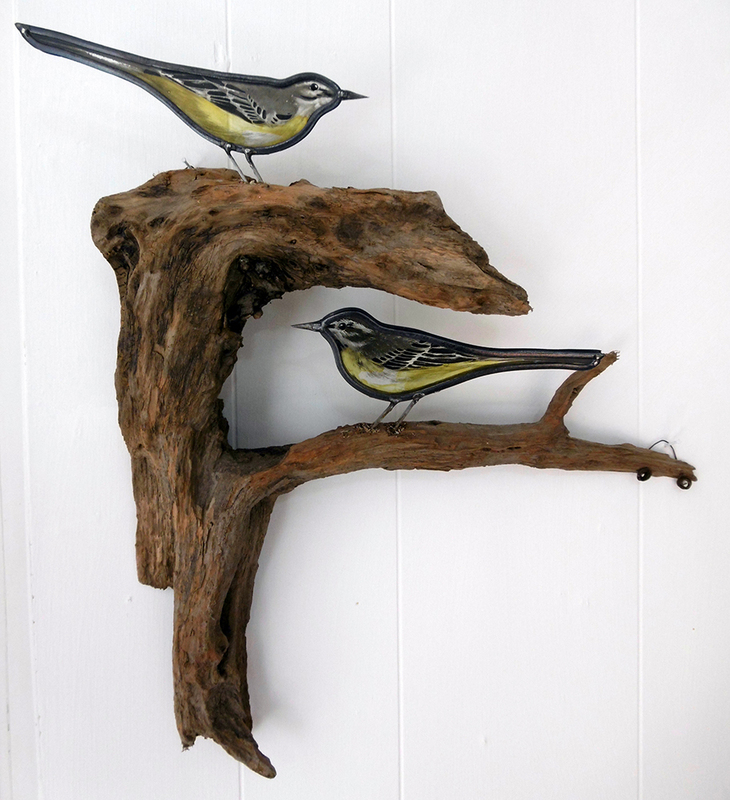 A great many can be found on sale at her studio and she also accepts orders and commissions. She welcomes visitors where you can watch her at work on her latest projects as well as have the opportunity to look at her portfolio and discuss your own design ideas and commissions. See debbiesshed.com for contact details.